Benn Jordan is a Chicago based musician, who somehow manages to stay out of the spotlight, no matter how much I want to shine it on him. You see, when it comes to intelligent electronic music, lush atmospheric ambiance and astute witty IDM with just a perfect dose of organics and DSP, Benn Jordan is at the very top. Every few years, I impatiently await for his latest work as The Flashbulb, and then proceed on consuming it for months on heavy rotation. Every track, an entire universe within itself, full of ideas, prowess and soul. 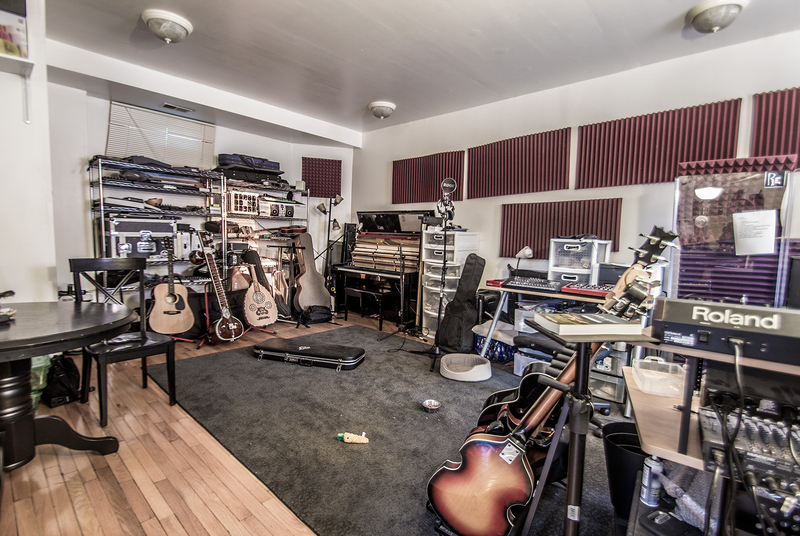 Today, I’m proud of bringing you the opportunity to take a peak into his studio. Enjoy! I started with playing guitar and various keyboards. I suppose it depends what you define as “gear” these days. As a kid, I had a Casio SK-1 and a bigger Casio keyboard that isn’t notable enough to remember much about. I had a couple of pedals for the guitar. My first programmable piece of equipment would be the Boss DR-660 which I got as a Xmas gift in 1993 or so. A year later I somehow managed to shoplift a Roland MS-1 and talked a friend into indefinitely letting me borrow his family’s Karaoke machine. So between the drum machine, sampler, guitar, I could swap tapes back and forth and layer tracks. It was probably the most ghetto studio ever. That setup mentioned above grew and grew, eventually spiraling into chaos. In 2005 or so, I had temporarily taken over payments on my mother’s tiny duplex house. It was kind of like an invasive plant just growing around a different one. For years I slept on the floor with my head in a kick drum (the pillow inside helped the thump when playing). There was old Roland gear wired up around pictures of Jesus Christ and doilies preventing rack gear from scratching decorative tables. In the yard I had made giant wind harps and chimes that sounded like tubular church bells. My neighbors rejoiced in 2007 when I moved to a 2 story condo in Wicker Park. The studio in Wicker Park was a polar opposite. 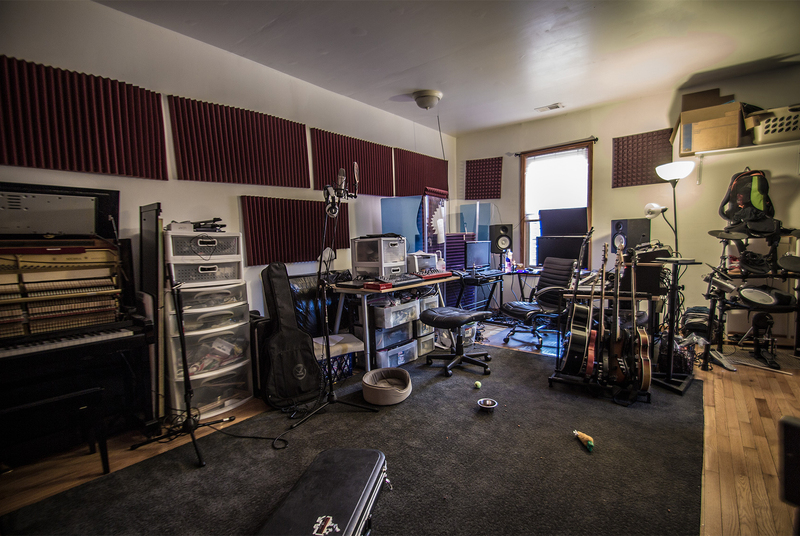 I had a recording room, a mixing room, and a vocal booth/guitar room. Everything was organized, clean, and proper. I realized that my output actually slowed down from it. I was used to working in chaos, and really just felt uncomfortable the entire time I was there. So I moved to Bridgeport, and my studio here is as chaotic as the neighborhood is. 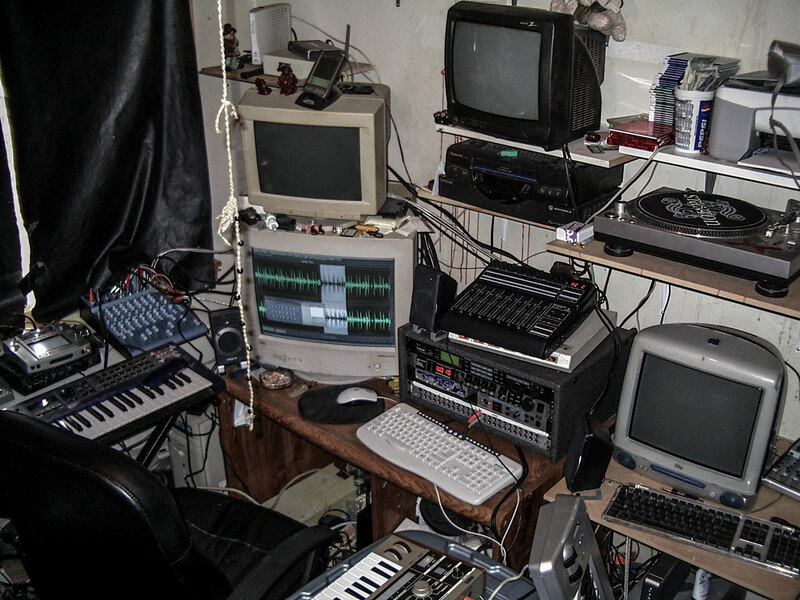 For 6 months I experimented with having a studio in a spot down the block, but I’m too attached to making music to put it at the same level as “going into work”. So all my gear came back here. I’m moving again at the end of the year, hopefully to find a good balance between organization and what I have now. But more importantly, a more peaceful and secluded environment that is closer to nature. There’s stuff that I will always love because I’m so comfortable with it, like the JX-305 or TB-303. Then there’s stuff that I’m playing with currently and am fascinated with, like the VP-770 or my disklavier (MIDI controllable piano). So it’s hard to pick one thing. I’ll never allow myself to settle down with one DAW because I’m scared it’ll stifle my diversity, but I like FL Studio the most. Once you get used to the interface, it’s insanely powerful. Everything is controllable by anything. Other than that, Reaper is a sturdy platform and I have a Mac just so I can run Metasynth. I still use Reaktor a lot as well. It’s outdated, but I’m very comfortable with its brand of node-based programming. I’m also actively learning to code, so hopefully I’ll be making my own tools sometime soon. What do you use for field recordings or when you want to just capture external sounds? Most people would debate this, but field recording to me is quantity over quality. If I can capture a decent recording of 30 different locations or sounds in the time it would take me to capture one amazing quality recording, I’ll choose the 30. So I have a couple of H4N’s with the poofy kitten (or whatever it’s called) windscreen filters. That being said, if there’s one thing I want to very specifically capture, or if it’s a reverb impulse, then I’ll use the H4N capturing a pair of Rode mics from an Alesis preamp. I feel like we’ve finally reached a place in technology where it’s possible to turn the ideas in your head into audio without much more than a computer. But using hardware inspires me and generates some good ideas. I’d love to get my hands on a Sennheiser VSM-201 vocoder or a number of old Soviet synths. I probably wouldn’t be able to justify spending the money on them though. 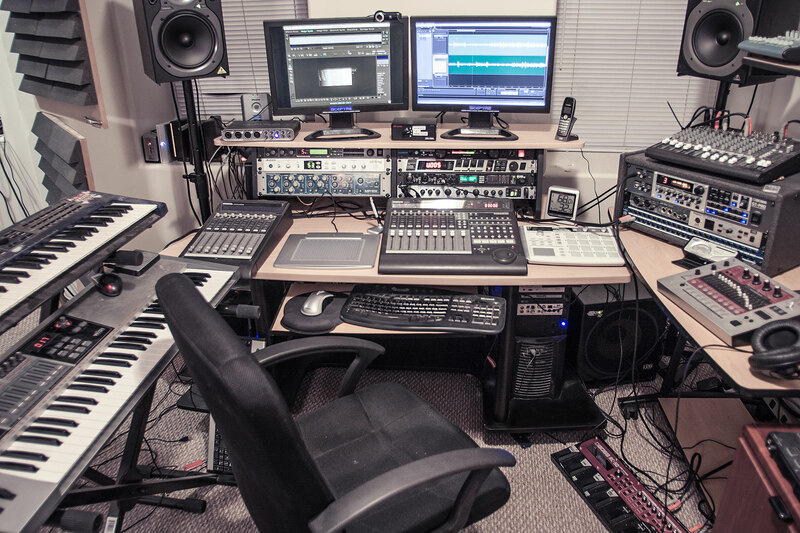 Even though they’re unpopular to most enthusiasts, I really like modern workstations like the Roland FA-08. I love the idea of one keyboard being able to produce an entire track. But I can’t justify spending thousands of dollars for that experience unless I need it. It’s hard to explain with words (which is why I’m a musician, I suppose). When I write music with atmospheric sound design, it feels a bit like sleeping with your window open as opposed to sleeping in a stuffy room. There’s a living chaos going on. Something that thousands, if not millions of different lifeforms, machines, or natural elements helped create, and they’ll never create it exactly the same again. It’s also often subconsciously nostalgic, which kind of ties into what people feel when experiencing ASMR. When I hear a train in the distance, in the back of my head I’m associating it to my childhood. Someone else might be annoyed or distracted by it. I find the sound of a babbling brook really stressful while a lot of people are relaxed by it. I guess I just really like how it helps tell a story that is different to every person who hears it. There wasn’t too many new things on a technical level. It was really hard work. I wanted it to be personalized to the point where I didn’t work with other musicians. 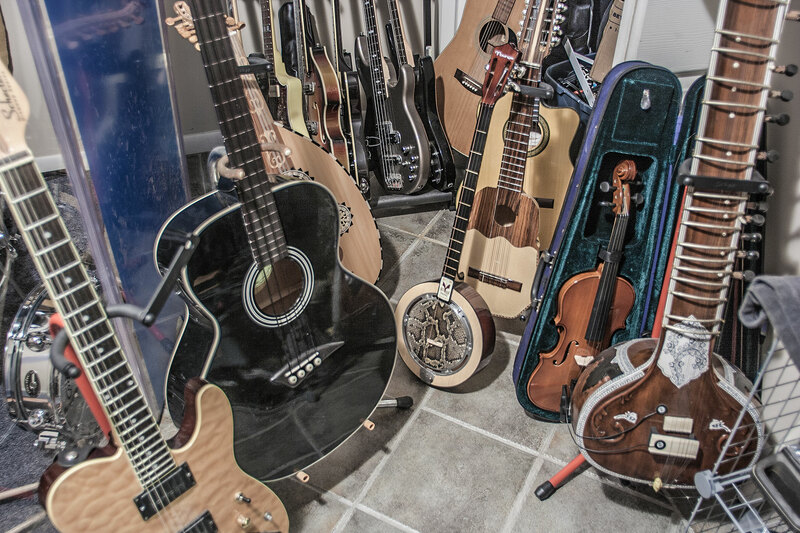 I usually have a violinist or cellist in to play on sessions. In this album I didn’t write something I couldn’t perform myself. I thought about all of the times I recorded a session player and just didn’t “feel it”, and wanted my own emotions driving the intensity or vibrato of the performance. Earlier this year I realized that I had accumulated about 40 songs, and it was time to shave them down and put the album together. 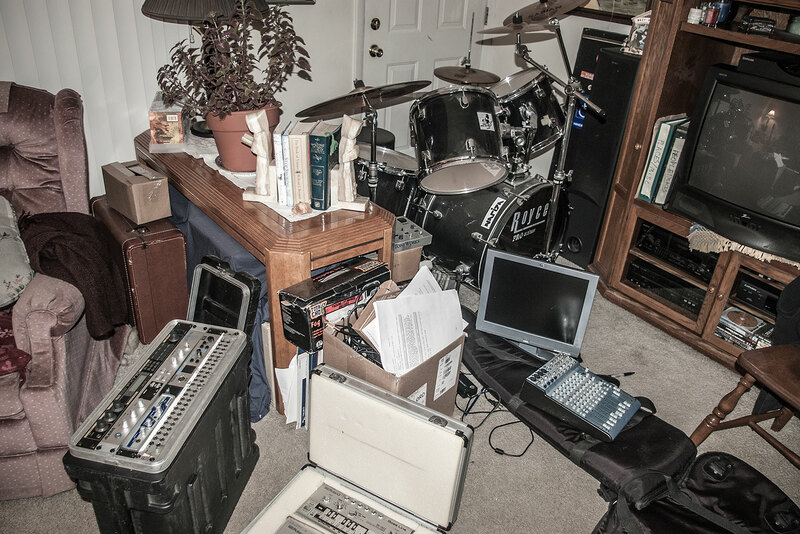 What does your live setup look like, and what do you bring with you when you go on a tour? It’s always different. This year I’ll likely be doing half of a set of released songs, and the other half improvised stuff with my MIDI guitar and some drum machines. I try to limit myself to what I can fit into a big coffin case and a rack case. I also haven’t used a laptop live for many years now, so that makes everything a little bit more challenging (but a LOT more stable). Distractions. They’re killing my productivity here. If it isn’t someone knocking on my door asking about a fuse box in the other building or something, it’s gangbangers fighting or just screaming incoherently outside my window. This is happening live right now as I type this, haha. I need to try living and working in a more rural environment, and plan on doing so soon. I’ve always come up with technical ideas while doing something more mindless and physical. In the past few years I’ve been really physically active, so the start of my day is usually spent at a training camp/gym where I’m free to brainstorm while zoning out on a speed bag or something. They mature once I try to bring them to reality. A lot of times an idea or melody in my head sounds unflattering when it actually becomes a sound. As for actually getting mastered and released, I’d say that 5% of ideas and 30% of finished songs get there. There are a lot of tracks that I’m really proud of that just don’t fit into an album or release. I used to immediately pop it in my car or on my headphones and analyze it in every way. But now I just have a pool of songs in a folder, and I’ll listen to them a few days or weeks later once the melody is out of my head. I think my car is the best place to decide if something needs to be re-engineered because it’s absolutely merciless with bass and treble handling. Despite it being a rather good sound system for an automobile, it’s very easy for something to sound terrible in my Kia Soul. I think it’s really important to remember that 90% of the people who listen to music don’t have studio monitors or $300+ headphones. Sometimes I have to make compromises to make it sound appealing in both settings. Yes and no. I procrastinate things like responding to emails or shipping a package, but I don’t think I’ve really experienced boredom since I was a kid. If I’m not inspired to write music, then I’ll work on photography, programming, martial arts, etc. If I were to go on a vacation to a peaceful, deserted beach, I would probably invent a project to do there that would ensure that I’d sleep 4 hours a night and be stressed out the entire time. I think I just get anxious when I’m bored. You seem to have a lot of great ideas in almost every piece — all very good I must say! How and where do you find the inspiration for you work? Thanks, from you that means a lot to me! It’s hard to pinpoint exactly. In the past couple of years I tried to make it a point to not take inspiration literally from other music I’m listening to, mostly because I feel like the end result is more gratifying and all around a better use of my time. This isn’t frequently the case, but sometimes I hear music far off in the distance or in a car driving by, and since I can only make out 10% of what I’m hearing and can’t identify the music, my brain seems to fill in the blanks. That’s a fun way to start a composition. I’m actually pretty isolated from it, so I don’t think about it much, but I don’t mean that in a bad way. It probably wouldn’t surprise anyone that I’m not a fan of genres or scenes, even if they’re broad categories. The only divide I really subscribe to is “fun music” and “emotional music”. The former being created as a service to listeners to enjoy, and the latter being created as a form of expression, whether it is literal or abstract. I find value in both types. I think rules of genre should always take a backseat to ideas, and that’s happening more and more now.